Corsa Home Solutions can often close a sale in one week or less - especially if you are into selling a home as quickly as possible. Once you’ve spoken to one of Corsa’s home-selling experts, you will have a fair cash offer within 48 hours - even when your home is not in the best of shape. 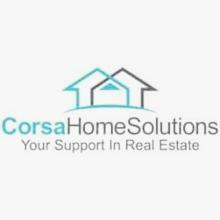 Based in Philadelphia, Pennsylvania, Corsa Home Solutions is dedicated to making the home selling process fast and easy without all its traditional and lengthy stresses. Benefits of a quick sale include no lengthy search for a realtor, no fees or closing costs, and saving time and resources used in preparing your home for sale. Corsa Home Solutions buys homes in any condition, so contact them today for more information about how quickly you can get paid for your home.